If you're looking to get away from it all at a remote castaway island, then Bandos Island Resort & Spa will absolutely not disappoint. 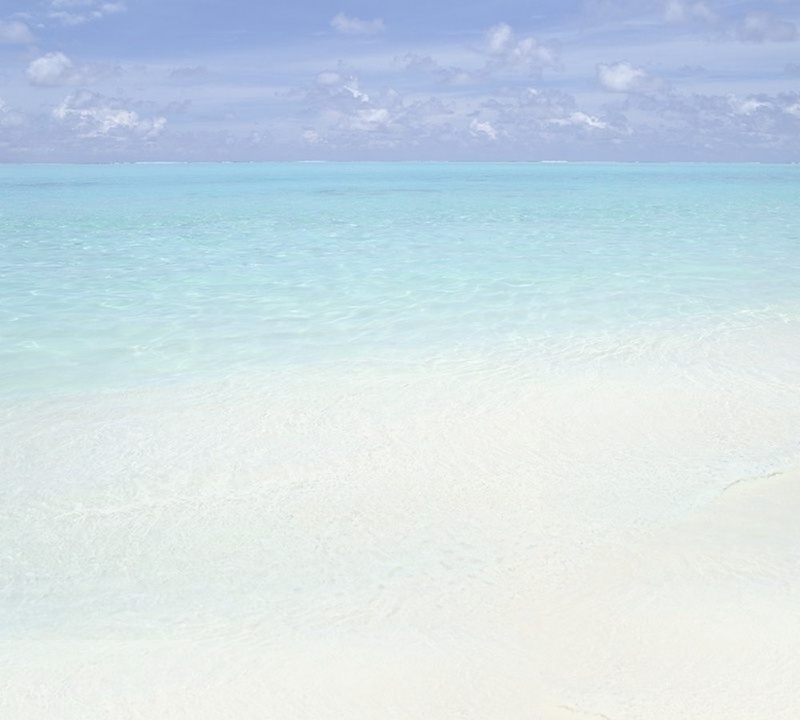 You get all the goodness that Maldives offers on a sweet, almost private, little paradise island. Best of all, whilst not exactly cheap, Bandos won't break the bank. We arrived in Male in the afternoon and were whisked away quite promptly on the Bandos speedboat by friendly staff. The ride took about 20 minutes, but the boat is new and comfortable and the trip feels more like 2 minutes. In fact, all told, we were in our resort room within the hour, courtesy of a very streamlined process. Excellent. And a lovely room it was; well maintained, blissfully cool and with a breathtaking beach view to boot. We took to snorkeling later that afternoon and were blown away by the clarity of the sea, the whiteness of the sandy beaches and the beauty of the coral. But the fishes and all the other marine life also left us in awe. The sea, the location, the snorkeling, it was all very Maldivian: top of the bill. Our meals were buffet-style. The spread was quite extravagant and the many dishes are prepared by chefs who are obviously in the know. The service staff, too, clearly know their hospitality. They're there when you need them without being too visible. Activities-wise, well, let's just say that you won't go bored on Bandos. There's para-sailing, windsurfing, jet-skiing, scuba-diving, banana-boating, SUP, catamaran-sailing, etc etc. Tip: Due to the Maldives' ever-increasing popularity and the growing number of budget airlines flying here, most of the Maldivian atolls' resorts are booked quite far in advance. Up to 6 months is no exception. 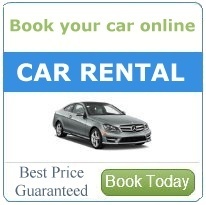 Best make sure you book your resort of choice early to avoid disappointment. Agoda tends to offer great Maldives promotions, so give them a try. Bandos may be a once-in-alifetime paradise, but that doesn't mean you can't save some money if you can. Tioman, whilst offering panoramas as stunning as on Bandos, alas, is no Bandos. In fact, whilst the snorkeling around Tioman's coral patches is above par, no doubt about, it doesn't really compare to the unique reefs off Bandos. 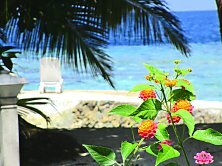 The coral species and other marine wildlife variety is more impressive on Bandos. 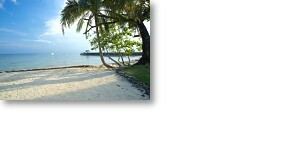 Accommodations-wise, most hotels on Tioman also tend to be of a somewhat more modest lineage as compared to Bandos. There are exceptions, such as Bagus Place and Japamala, but by and large, you won't feel the "wow" factor on Tioman as much as you do on Bandos. This also applies to general service levels at most places on Tioman. Again though, there are exceptions here. That being said, the good news is that Tioman offers a pretty hefty slice of paradise at a more friendly budget. In fact, Tioman's various beaches cater to a whole range of holiday-makers, from budget backpacker to first-class traveler. Just take your pick. Getting to Tioman is faster and more convenient than the more remote Bandos, which most of the time will require quite a long plane ride to Mali, followed by a sea-pane trip or ferry trip. Of course, if it's remoteness that you're after then the journey to Bandos is not an issue. But Tioman, being located within Asia, is easier to travel to. Airlines from around the world fly to Kuala Lumpur and there are plenty of over-land options to Mersing, the gateway to Tioman. The final ferry hop to Tioman takes just 1.5 hours. Mind you, given its distance offshore, a goof 50 kilomters, Tioman still has that far-flung off-the-beaten track feel, although perhaps it's not quite as one-of-a-kind an experience as on Bandos. Tip: Tioman is has been enjoying a popularity boom amongst European, Australians and Americans, the result of the various "Survival" type TV reality shows having been recorded in the Tioman vicinity over the years. With this in mind, to avoid disappointment, it's a good idea to book your holiday, as well as your ferry tickets, well in advance. If it's a veritable pamper-fest you seek and you're wiiling to spend, then Bandos Resort is for you. It simply can't be beat. Not in its stunning natural beauty, its various professionally-run sea activities, its unique edge-of-the-world feel, nor its second-to-none service offered, nor, in fact, its sheer paradise factor. Whilst Tioman has all of this as well, it's not top-notch level the way that Bandos is. 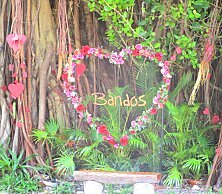 However, again, all of this Bandos bliss comes with a commensurate price tag; if you're ok with spending top-dollar, then Bandos it is. Is your get-away budget a bit more modest but you still want to spend quality time with your loved-ones on a white sandy beach? Then Pulau Tioman offers plenty of bang for your paradise island buck. It has quite a few affordable hotels and chalets that are nothing short of comfortable. The view from your seaside villa window? There's a time and place for doing nothing. Bandos Island Resort and Spa is it. "Thank you for your very clear reply.